In late 2013, President Xi Jinping announced his interest in founding the Asian Infrastructure Investment Bank (AIIB), a Chinese-led development bank that would address the large financing gap resulting from regional infrastructure demands. The Asian Development Bank (ADB) can only produce about $13 billion annually in new loans – just a fraction of the projected $8 trillion needed over the next decade in order to sustain growth. The AIIB, with its $50 billion initial capital endowment, intends to step in and help fill the gap. Chinese Finance Minister Lou Jiwei touted the advantages of a Chinese-led investment bank, saying “Asia is in direct need of investment, especially in infrastructure, but ADB’s current capacity is really insufficient… By comparison, the China Development Bank has been doing commercial infrastructure loans and its business size is far bigger than the ADB and World Bank combined – and that happened in less than 20 years.” The AIIB would initially focus on re-vitalizing the Silk Road as well as general infrastructure needs in the region. 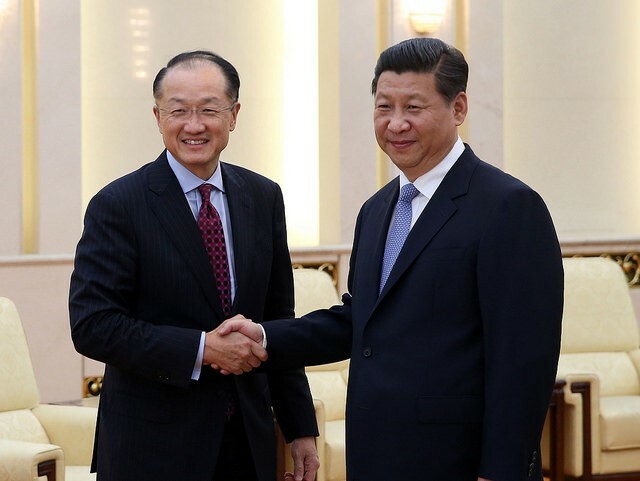 The AIIB is a manifestation of China’s desire to change the status quo of international lending. There is a stark political impetus for this move, especially given the context of the recent BRICS bank announcement. The ADB and the World Bank are seen as OECD dominated institutions, and China has been one of the leaders in attempting to construct an alternative set of international structures. China and other Middle Income Countries are eager to pursue the institutional bells and whistles of the developed world, but the type of lending and leadership these institutions will offer remains unclear. The UN recently released its final Millennium Development Goals report, revealing how much (or in some cases, little) progress has been made fighting poverty over the duration of the MDG program. The first target, to halve extreme poverty (defined as the proportion of people who live on an income below $1.25 a day) by 2015, has already been met. Although this goal has been met globally, some regions have not reduced extreme poverty at the same level, which you can glean from newly released numbers from the World Bank, below.